Dr Lisa Moran holds a BA (Hons.) in Sociological and Political Studies and English Literature from NUI Galway (2000-2003). As part of her MA in European Integration at the Centre for European Studies (CEUROS), UL she read History, Sociology, Law, Politics, External Relations, Economic Theory and Economic Policy. Her research dissertation on the implementation of the Surface Water Directive in Connemara received First Class Honours (supervisor Dr Patricia Conlan, School of Law, University of Limerick). 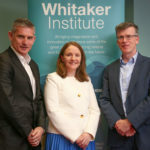 Her PhD on environmental policy implementation and rural knowledge in Connemara, completed at the School of Political Science and Sociology (2004-2010) received prestigious IRCHSS funding and she was also the recipient of a Postgraduate Scholarship from the Faculty of Arts NUI Galway in 2005. Since her PhD, Lisa has worked extensively in research; in policy and programme evaluation particularly in child and youth studies. She was the Lead Researcher on a flagship national study of youth cafes (funded by the Department of Children and Youth Affairs and the Irish Research Council). She was also a Lead Researcher on the Baboro BEAST process studies and a researcher on the Evaluation of the Restorative Practice Programme of the Childhood Development Initiative, Tallaght. Her first Postdoctoral research role was in the Rural Economy Development Programme (REDP) on the ICONMAP study, an interprofessional research study on the co-design of HACCP based tools for the control and prevention of Paratuberculosis in Ireland (funder: CoFord). As part of this study, Lisa developed research collaborations with the School of Veterinary Medicine University College Dublin and the Department of Agriculture, Food and the Marine. She is currently the Lead Researcher on the Outcomes for Permanence and Stability for Children in Care study and the Evaluation of the Ballyhaunis Community Preschool and Greater Tomorrow Creche at the UNESCO Child and Family Research Centre NUI Galway. Lisa has ample experience in teaching and postgraduate research supervision. She taught sociology and politics modules at the School of Political Science and Sociology since 2004. She was a Lecturer in Sociology and Social Research Methods at IT Sligo and a Lecturer and Course Co-ordinator at St Angela's College Sligo. She holds a Postgraduate Diploma in Academic Practice from the Centre for Excellence in Learning and Teaching (CELT) and recently completed a Master of Academic Practice degree at CELT, NUI Galway. She has completed advanced training in Participatory Action Research (Imperial College London 2013), Biographical Narrative Interpretive Method (BNIM) (London 2013), Postgraduate Research Supervision (Teagasc Moorepark and School of Graduate Studies UCC), Enhanced Professional Effectiveness (Teagasc Ashtown Dublin 2014) and Media Training (FH Consulting, NUIG 2016), among other courses. She has presented at several international and national conferences on her PhD research, her work at the UNESCO Child and Family Research Centre and her work with Teagasc. (2016) ) Scoping review of Irish and international literature on outcomes for permanence and stability for children in care.